The Big Island’s new workforce housing development, Kamakoa at Waikoloa, held its first lottery for applicants Saturday, Jan. 17 at Waikoloa Elementary School. Each of the 140 hopefuls in attendance had the chance to draw a number to determine their place in line for home and lot selection. Kamakoa has received 187 applications for the 149 homes in Phase 1A of the project, now under development by Waikoloa Workforce Housing LLC, with the first single family homes scheduled to be available by the end of September. Also planned for completion during Phase 1A are recreation ball fields and a community center. Although the project’s schedule has undergone some adjustments in the last year due to economic slowdown, it is moving forward. Employees of Waikoloa resorts and shopping areas have been established as the first priority group for Kamakoa homes, followed by Kohala Coast resorts/public service workers. Applicants who pre-qualify for mortgage loans will be able to choose floor plans and individual house sites in the order drawn at random. Housing interest forms are still being accepted and are available from Waikoloa Workforce Housing. Initiated by the county, Kamakoa at Waikoloa is being developed by Waikoloa Workforce Housing, a non-profit organization established by the Hawaii Island Housing Trust for the planning, financing, development, and management of the Kamakoa project. Kamakoa will offer a varied selection of housing at below market prices while maintaining a high quality of design and construction. 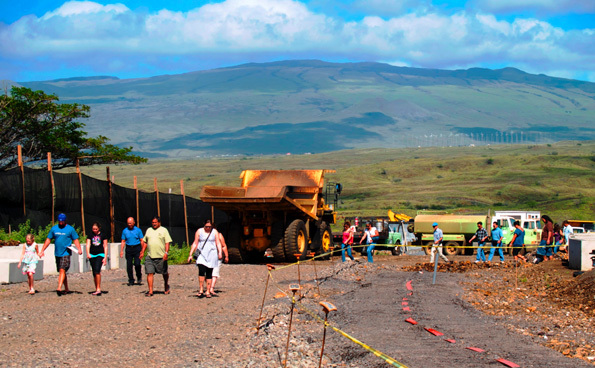 Isemoto Contracting began work June 13, 2008 at the housing site north of and adjacent to Waikoloa Village in South Kohala.